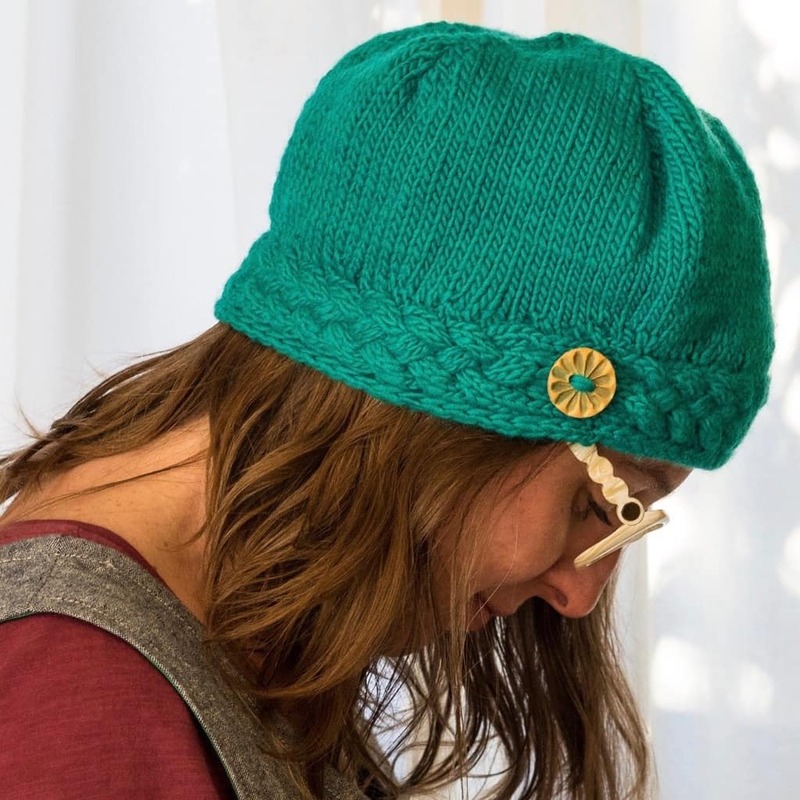 This great hat is quick to make, fun to wear, and in two different styles (beanie and cloche), it will be a perfect last-minute knit to keep your head warm while at the pumpkin patch or tree farm. Best of all, with a decorative button accent each one you make will be unique and special. Finished Measurements: Both: 19″ circumference at hat band. Measured after blocking. Cloche: 8” tall, measured from bottom of brim. 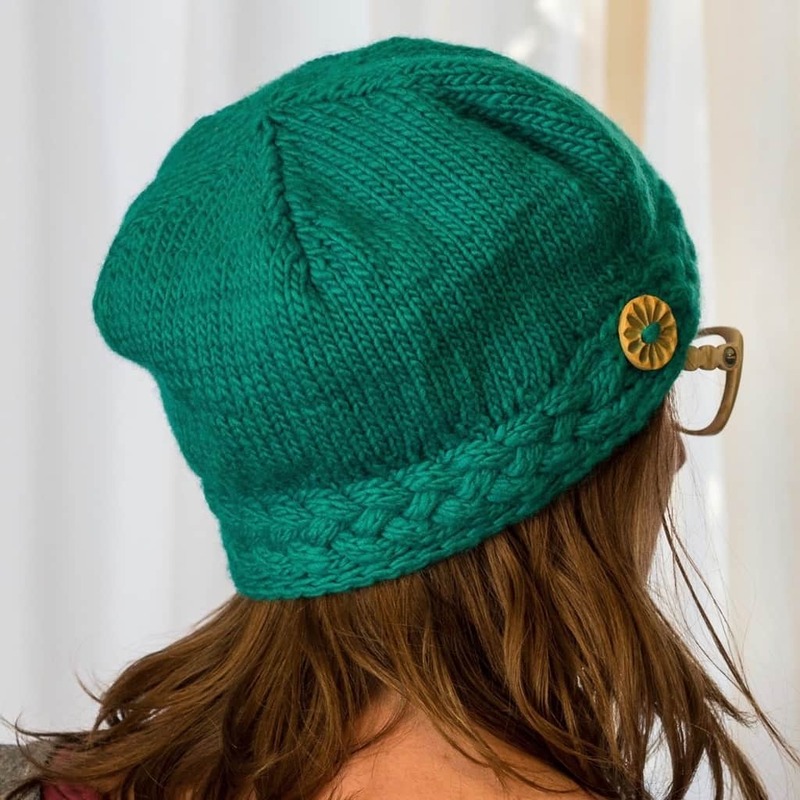 Beanie: 6.5” tall, measured from bottom of brim. Yarn: approximately 130-155 yards aran-weight yarn. I used Brown Sheep Company Lanaloft Worsted in Sea Fog. Needles: US8/5mm circular needle for hat knitting, or size needed to get gauge. Gauge: 16 sts = 4”/10 cm in stockinette stitch in the round, measured after blocking.